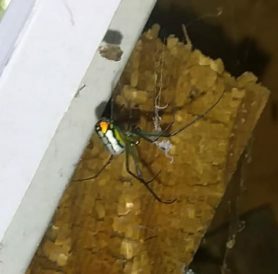 This appears to be a Mabel Orchard orb weaver, Leucauge mabelae, according to your site's other photos. 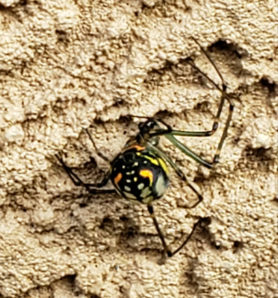 It's my first sighting in our year-old yard. 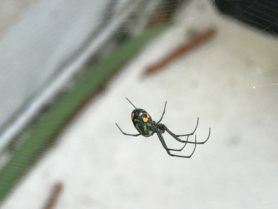 It had built a multi-layer web about a foot in height of relatively straight crisscrossing, and it was perched on a typical round web placed above all the others. 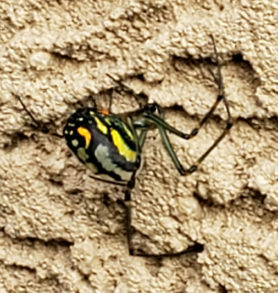 The top web was about two feet off the ground, running between the stucco wall of the house and the top edge of a homemade chicken-wire compost bin. It's a relatively damp area thanks to combined runoff from both ours and a neighbors' roofs. 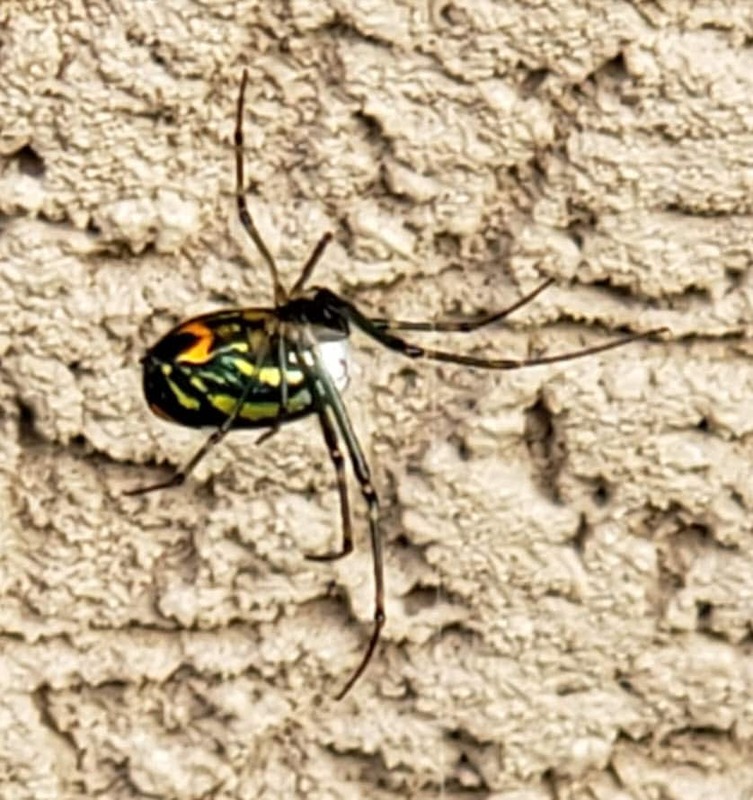 It's quite beautiful, and as it became accustomed to me, was happy to work its web, turning its beautiful body about, and seemingly glowing in the pale evening sun as several areas seemed to emit their own light. I'm feeling blessed by the cosmos.